The following article is not intended to be part of the debate concerning cholesterol, or whether a low carb high fat diet such as the Atkins diet is good for long term health, it is simply to review the evidence with respect to the effect of low carb diets on cholesterol. One of the problems with the recommendation to reduce dietary fat is that it is often replaced by carbohydrate. For most people that have a dietary increase in carbohydrate there is associated elevation of triglyceride levels and a decrease in good cholesterol (HDL). 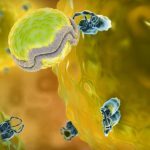 Increase in triglycerides and decrease in good cholesterol is associated with carbohydrates, both associated with increased cardiovascular risk. Decreasing carbohydrate levels can lead to reduction in triglycerides and an increase in good cholesterol HDL, presumed a good thing. Interestingly, one of the premises behind a low carb diet is that although there is no strict limits to fat eaten, those on this kind of diet have appetite suppression that results in a reduction in calories as compared to a non carb-restricted diet. One study looked at the effect of calorie reduced diets in patients with elevated cholesterol. Over a 12-week period one group were given a low carb diet (12% carbs) and the other were given a low fat diet (56% carbs). The group that had low carb had a 3 time higher fat intake than the other group. The low carb group, despite the higher fat had improved cholesterol profile. In another similar study, participants were randomly assigned to a low carb diet with no calorie restriction or a low fat diet with calorie restriction but no specific carb restriction. The patients in the low carb group were found to have a greater decrease in triglycerides and also and increase in good cholesterol. Another study looked at the effect of a very low carb diet (Atkins type) vs. a low fat diet in overweight men. Participants did one diet for 6 weeks, then the other for 6 weeks. Both diets reduced cholesterol. Neither diet affected good cholesterol. The low fat diet had a greater effect on ‘bad’ cholesterol, and the very low carb diet (like the Atkins diet) had a greater effect on triglycerides. Overall, in the limited study periods, the very low carb diet (such as Atkins) certainly appeared to have favorable effects on cholesterol profile, and was certainly not associated with any harmful effects. 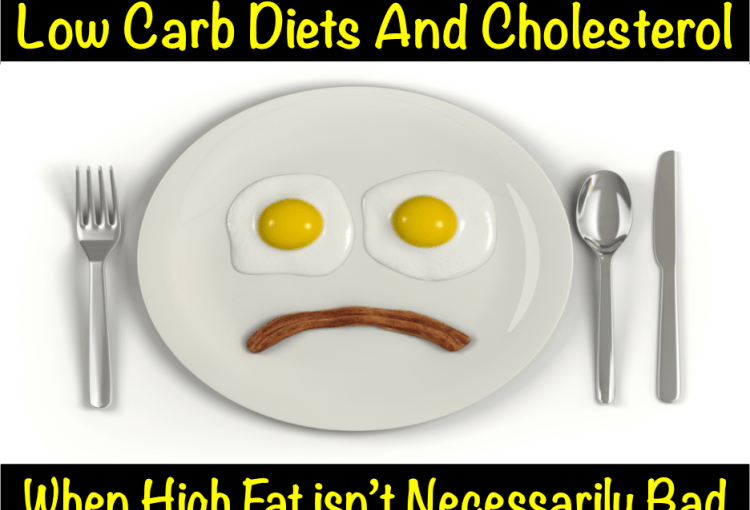 There are not enough studies on the very low carbohydrate diets such as Atkins to draw conclusions however. One study, looked at the effect of dietary fat on cholesterol in over 30 trials that were done to study this. It was found that low fat diets were slightly more effective in lowering levels of ‘bad’ cholesterol whereas the high fats diet were more effective at raising the good cholesterol. An ideal diet, according to conventional recommendation would decrease the bad cholesterol and increase the good cholesterol. The high fat diet however was clearly not associated with any bad effects on cholesterol in the studies reviewed. Finally, a study looked at the results of 23 different studies examining the effect of a low carbohydrate diet on cardiovascular risk factors such as cholesterol in over a thousand overweight participants. The low carbohydrate diet was associated with decreased in triglyceride levels, and increase in good cholesterol. There was no real effect on bad cholesterol. But once again, there were no bad effects seen on the cholesterol profile. It would seem intuitive that lower carbohydrate and higher fat diets would worsen the cholesterol profile. The available evidence to the contrary suggests that low carb diets are associated with potentially improved cholesterol profile. Studies have limitations however which mean that conclusions should always be interpreted with caution. The main point here however seems to be that there were no harmful effects to cholesterol profile with a low carb higher fat diet. Most of the studies were short term, and no one really knows what the long term cardiovascular effects of Atkins type diets are. On 4 May 1998 I experienced the “Widow maker.” During a procedure three days later, the surgeon found LAD was totally blocked, and the angioplasty balloon could not be inserted successfully. A Laser was used and two stents were placed. For a few years thereafter, my ejection fraction was 40 although I maintained a very strict fat free diet, my health just maintained: not progressing or regressing as measured by the EF. I began to include a very limited amount of polyunsaturated and monounsaturated fat into my diet. I have been exercising since leaving rehab. Presently, my EF is 53! Although tests show dead and scared tissue with some mild ischemia, I bike 10 miles daily, and complete up to 40 military style push-ups. I refuse to accept that saturated fat is the lesser of the two evils, although I do have limits on carbohydrates. Only two of my arteries are not blocked, one is totally blocked, two are 95% blocked. One Cardiologist tells me to have stents, the other tells me to go on Plavix and Imdur (generic, of course). So far I have done nothing. How am I supposed to know which is the best. I found the section on diet and nutrition to be very disappointing, but not surprising. The worst nutritional advice I ever received was from my cardiologist after my bypass surgery. Where is the presentation on the benefits of adopting a whole foods plant base diet, no oil, sugar, or salt ? Drs Dean Ornish and Esselstyn reversed heart disease with lifestyle changes.. clinically proven. I urge those with heart disease to consider making the change… check it out! You’re too easily disappointed. 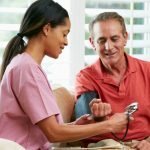 All of the above have been addressed in detail read here https://myheart.net/articles/can-heart-disease-be-reversed/. The Atkins diet is very successful. In the first two weeks of the plan, CHO’s are quite restricted. However, the list of acceptable foods contain small amounts of CHO’s, and the metabolic process of the breaking down of fat cells to provide energy to our bodies requires more energy( calories) than the calories provided. After the two week introduction period, CHO’s can be provided, but only as instructed. Our need for sugar is really just a habit. A baked potato has a medium level permissible by the second stage of the diet. But it is such an important source of minerals, so I used just 1/2 of a baked potato, 1/2 a slice of 9-grain bread, used milk as a major contributor of the allotted CHO’s, but I followed the regimen to the word.